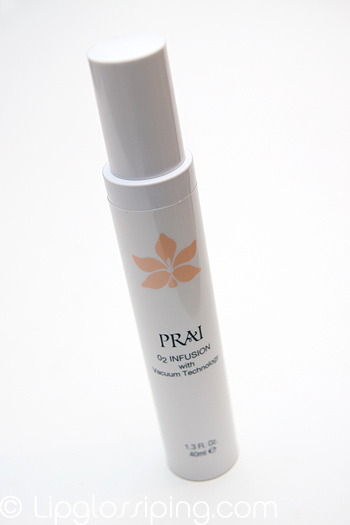 I was sent a tube of Prai’s new o2 Infusion last month which is described as an “innovative formula (which) contains oxygen molecules to help deliver additional oxygen to the surface of the skin, giving lackluster skin a more youthful and a refreshed look”. I’m in two minds about this product. For me, it does what it says on the tin. After using it just one time, my skin did look brighter… the tone seemed more even and gave an impression of (dareisayit) outright perkiness! But the next day? My skin was ALL kinds of flakey. So, I brought my ever-faithful, heavy duty skin oils into play and a week later my skin was back to normal. Being me though, I couldn’t help but eye up this lovely, neat tube of product every time I stood at the sink washing my face and it wasn’t long before I was slathering it over my skin again, watching it get foamier and foamier as I waited the requisite 2 minutes before rinsing it off. Until the next day, when I was back to square one and looking more Mumm-Ra than Yummy-Mummy. My foundation looked like crap and I was moisturising 3 times a day just to try and inject some life back into my skin. Third time’s a charm right? Wrong. I experience no sensitivity when using it and no dryness issues immediately afterward. I moisturise straight after use and in fairness, I suffer from normal/dry skin anyway. So what do I do… do I recommend? Well… at under £20 for 40ml it doesn’t break the bank (and a little goes a VERY long way thanks to the foaming action), so I’m happy to recommend under one condition; you have oily skin. 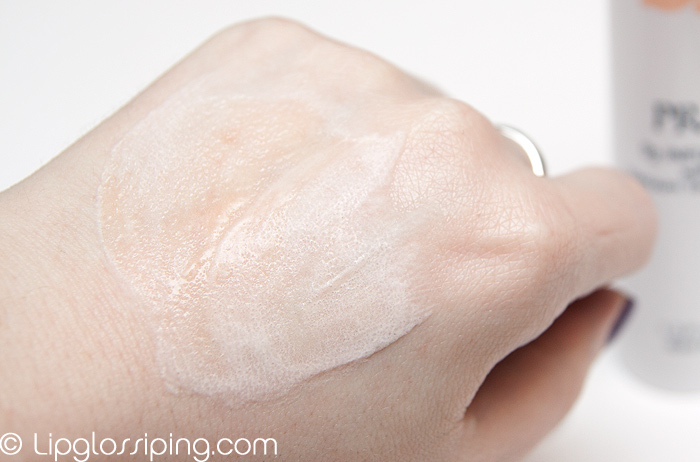 If you have a propensity toward dry skin? I would stay away as I think this might just be a tad too harsh for our sensitive souls. My skin is dry and is on the sensitive side so I will be skipping this. Maybe it is the SLS in it which dries you out? I find that some foamy products dry my skin out too, despite me being a normal/combo skinned gal. I don’t know what it is about Saturday that makes me type and talk like an idiot, I’ve used the word gal about a million times now..it must be the fact that I’m giddy about having two days off.. Anyway, I find some SLS products dry my skin out..you know what cured my flaky skin? The Garnier Rose toner, it is brilliant and super cheap so you might want to try that. 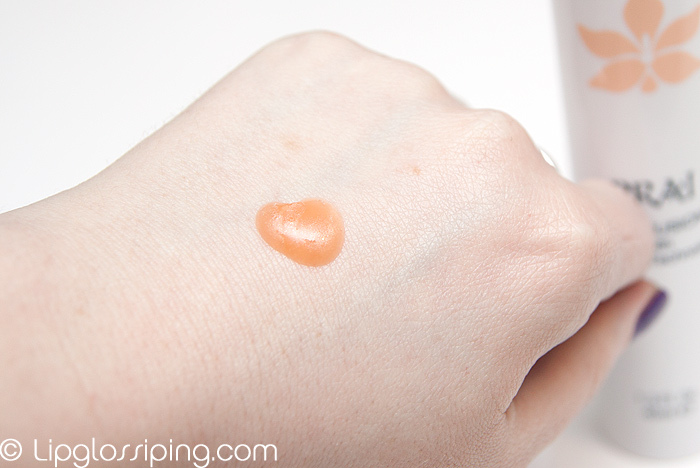 I thought this was a serum at first…I find the Bioterhm Skin Ergetic serum is VERY GOOD at making your skin look smooth and pepped up, it worked on me from the first application and you only need a tiny tiny bit. This looks basically the same as my Bliss Triple Oxygen Instant Energizing Mask – it’s that same orange-ish gel that you apply to a wet face, and then let foam up on your skin for a few minutes – the same super foaming tingling awesome feeling, similar looking ingredients. I got the Bliss for $52 (about £32) for 3.4 oz (100 ml, which makes it a better deal, though more expensive initially. I was sucked in in Sephora in the US, because they demonstrated it’s awesome sci-fi qualities on the back of my hand. Later I realized that adding oxygen is basically the opposite of using antioxidants, which feels self defeating … but similar to you I love the brightness it will give my skin the day I use it … and I don’t have as bad after-effects. Maybe a bit of dryness and my skin looks kinda dull for a couple days afterward. I’ve had it for about 2 years now – definitely not going bad (it’s well packaged, and the bottle is kinda huge) … and I keep coming back and using it once in a while. It is MUCH better when my skin is more oily – in the summer or if I’m going through a breakout (provided I haven’t dried my skin out already using something like benzoyl peroxide. 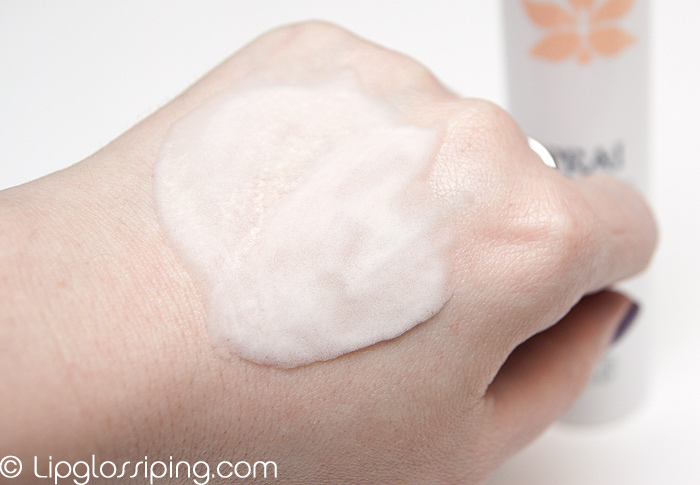 My husband loves seeing me with my foamy face when I use it … I’ve almost convinced him to try it – he’s got oily skin, and he’s intrigued by the sci-fi foam. Maybe Mr. Lipglossiping would like it more than you do? Yes! This! I had exactly the same issue – tried it and liked the way it worked and the foaming action and wanted to love it…my skin felt so squeaky clean afterwards it was frightening, but then the next day it was all dry and horrible. I didn’t get flakes but it just felt very tight and rough, even after moisturising. I also got two new spots, and though I know that was probably just the reaction to something new rather than a reaction to this product in particular, it put me off trying it again.